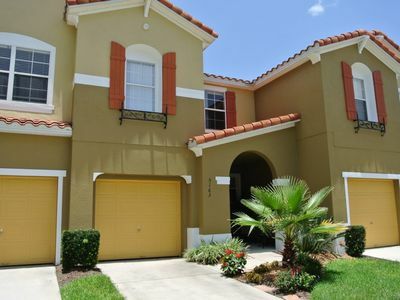 “Picture you and your family renting this beautiful 5 bedroom villa for the perfect Disney holiday. This villa has a games room and private pool. 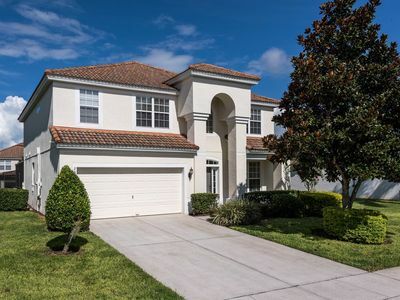 Only 6 miles from Disney"
A fabulous 5 bedroom pool home, located in a picturesque golf community near Walt Disney World! 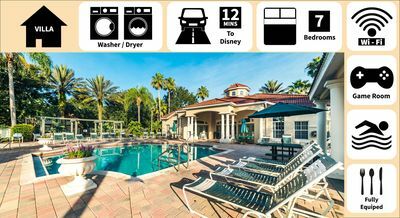 With your own private pool, a fully self contained kitchen, laundry and bedrooms across two floors, your dream family vacation is just a click away! Within the tranquil setting of Reunion Resort, it's hard to believe that you are only just 12 minutes away (5 miles) from the gates to Disney. 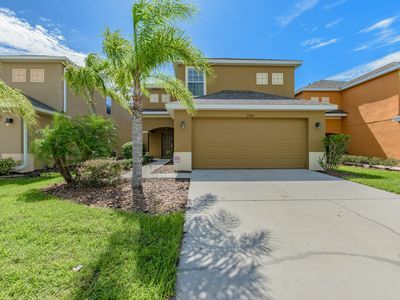 Fabulous shops and family friendly restaurants are within easy reach of the home, and all of Orlando's amazing attractions are easily accessible via all of the region's major routes. This really is the perfect resort in the perfect location! 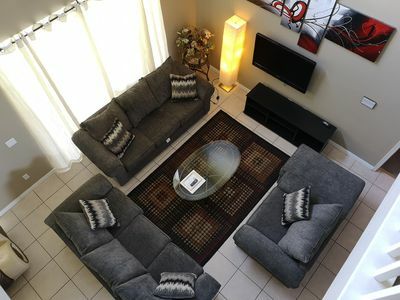 Set in Reunion's beautiful Nicklaus PGA course, Desert Mountain Ct.
North East facing pool deck with excellent golf views. 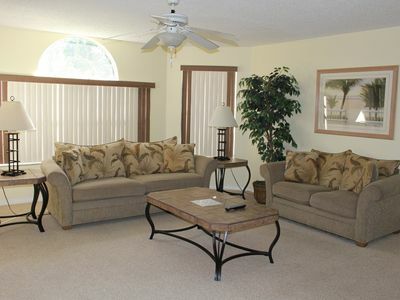 Set over two floors the home provides plenty of comfortable space for guests to gather, relax and socialize. A large open layout family living area overlooks the pool deck and includes comfortable seating, a dining area and breakfast nook. A fully equipped, complete with oven, hob, dishwasher, fridge and freezer. 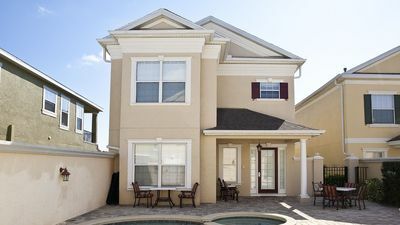 A lovely pool deck provides a perfect opportunity to sit back and relax in style as you enjoy the warm Orlando weather. The heated pool and spa allows your guests to cool off after a fabulous day of fun. A games room provides hours of fun for kids and adults of all ages and includes a foosball and pool table, bar set. 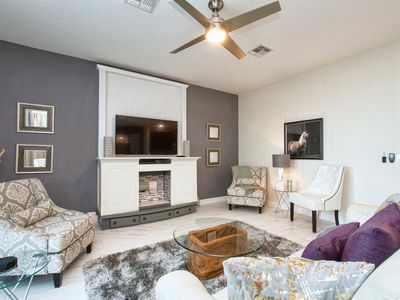 Luxury Family Retreat - Pet owners welcome! 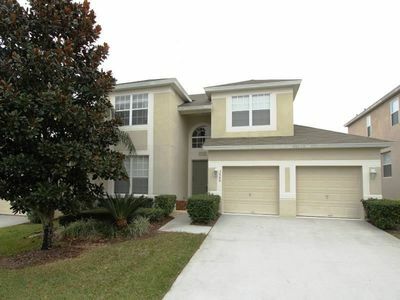 Huge space, close to theme parks! New upgrades and make over in February 2019! Last minute deals!! 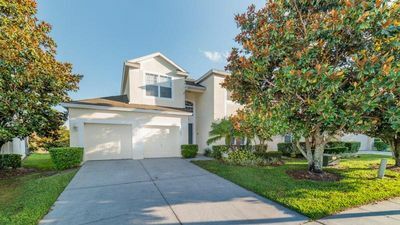 BEAUTIFUL 3 BED VACATION VILLA NEAR DISNEY! !